Like Israel and Rwanda, Sri Lanka serves, for many world-watchers, as a byword for ethno-religious conflict. For almost three decades, the country’s largely Buddhist Sinhalese majority engaged in an on-and-off civil war against a guerrilla insurgency waged by elements from within the country’s largely Hindu Tamil minority. And yet, despite this bitter legacy of conflict, some surprisingly robust efforts at reconciliation have emerged. 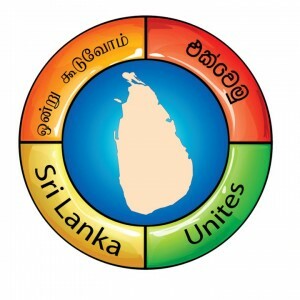 One of the most promising comes in the form of Sri Lanka Unites, a group that brings young adults from both sides together for conferences and shared activities. This August, the group will hold a leadership conference in the city of Jaffna, in the heart of the war-torn north. It is expected to draw 500 top student leaders, including 50 from the diaspora (of whom 15 will be from Canada). It is believed to be the first national event of any kind to be held in Jaffna since the end of the civil war. Of course, this is hardly the first well-intentioned effort at inter-ethnic bridge-building that the world has witnessed. In Israel, for instance, one constantly hears of Jewish-Arab theatre groups, choirs and such. Despite the best of the intentions, they often founder as soon as the political atmosphere turns violent. But Sri Lanka Unites has been around for several years now, and has been growing steadily. Indeed, its success offers lessons for similar initiatives in other parts of the world. Earlier this month, two of the group’s founders sat down with me in Toronto, and told their story. Kirubakaran Christin Rajah is a Tamil man, born in 1982 in Sri Lanka’s northwestern Mannar district. From an early age, he witnessed the horror of war, and lived among the fevered stirrings of Tamil Tiger insurgency. At one point, his family was forced to flee to India, and then displaced-persons camps across the Sri Lankan north. When he was a teenager, his father sent him to the capital of Colombo, hoping he could escape the hate and violence that permeated Sri Lanka’s northern war zones. Yet the two boys found they had a lot in common. For one thing, they both passionately loved cricket and music. They also had a third, deeper, commonality: religion. Both are Christians, and their attendance at a common church helped their friendship blossom. Until that point, Prashan recalls, he thought of the conflict with the north as a game: “I used to watch the news and see the casualty figures. It was like keeping score — how many Tigers did we kill versus how many of our soldiers got killed.” His relationship with his new friend from the north changed that: For the first time, he began to see Tamils as human beings. Out of that trip came the idea of Sri Lanka Unites, whose meetings mix cricket matches with dialogue sessions, in which Tamils and Sinhalese ask each other for forgiveness. “Over 70% of Sri Lankan youth don’t have friends outside their [ethnic] group,” Prashan told me. Sri Lanka United is helping to change that. The example shows that reconciliation can take root even between the bitterest enemies — but only when there is some germ of commonality to act as a nucleus. In the case of these two peace activists, it was cricket, music, Christianity, and the English language. But there needs to be several more ingredients as well: goodwill, humility, and the willingness to re-examine old hatreds. Kirubakaran Christin Rajah and Prashan De Visser both possess these qualities. And the organization they have created is a model not only for other Sri Lankans, but the rest of the world besides. This is good. But these things, I am afraid will evaporate unless backed by the political settlement in the form of devolution. I don’t think Sinhalese are capable of seeing this whole picture. It is better to have some kind of a referendum. The Tamils side should come up with book detailing how their aspirations were struck down by the selfish interests of the India. In my opinion India didn’t play the role of an honest broker. It sided with the Sinhalese in the 13A and totally dumped the Tamils and their political rights to secure its regional hegemony. The shortcomings of the 13 should be made public and debated extensively. That should stir the conscience of the Indians, particularly Tamiis, in India. That is the only way this problem could be solved. Even now during the book release function of the Nedumaran, Vaiko spoke for nearly one hour. He just said that the 13A was a thinikkapatta oppandhum (agreement thrust upon them) and didn’t elaborate its short comings and went to talk other topics. The common man in Tamil Nadu will assume certain things for granted, like the state having the powers over land, police and also in the revenue etc. You people have to educate them about the Unitary nature and the near total powerlessness of the PC in Sri Lanka as envisaged by the 13A. The Tamils side are afraid that if they articulate those facts in the public then they may have to accept the solution that addresses those shortcomings. Then their eelam project will come crashing down. The Sinhalese are using this to portray the Tamils as terrorists. You should articulate your views and be ready to dump eelam also if you can live with dignity and equal rights within an United Sri Lanka. Until you do this your problems will not be heard in proper perspective and the world may only listen to the views of the Sinhalese. Only because of this, the Tamils got the tag of terrorists, in my humble opinion. Till a political solution is found, all this exercise by few individuals will only be like a drop of water poured in a frying pan. Anyhow I wish them well in this noble endeavor. Everyone should understand your concepts. But, at first Sri Lankan media (and journalists) must unite. The Media, the Politicians and the Religious Leaders controls the buttons. So, this Team must go after the media first. ‘Sri Lanka Unites’: A Sri Lankan youth model for reconciliation. Yes agree with the author 100%. Wish all these young men & women the very best and God’s protection. Future is in the hand of our youth. Let these youth be the light in the darkness. Jonathan Kay’s comparison of Sri Lanka with Israel & Rwanda is not very appropriate. Also his categorization of the conflict as a ‘the country’s largely Buddhist Sinhalese majority engaged in an on-and-off civil war against a guerrilla insurgency waged by elements from within the country’s largely Hindu Tamil minority’ too is wrong. Conflict was mainly political. Later to have more political clout it was given a twist of ethnic conflict. Politicians of North & south both played the ethnic card and destroyed 2 generations of youth in a civil war. This war was between Sri Lankan state and the Tamil militants. However there were 2 sinhala youth uprisings too during 71 & 89. That too was ruthlessly suppressed by the state. Youth in this country had suffered for 3 decades. Now it is time to look for a future without conflicts. May we have leaders with wisdom to lead us in the path of wisdom in the future. in reality the mass movement , “religious dignities” and the state is NOT moving towards conciliation . perhaps it is moving to make Srilanka is a BHUDIST ONLY COUNTRY. unless the TWO main political parties change the vision THINGS to go worse within next 10 years . Above is a therortical dream !!! However what do you do with the old who infect the young at their early years of development? The young are conditioned by the surrounding which is not a good place to learn and live. At present name a few role models whom the young can look up to, Mervyn, Champika,Weerawansa, Duminda, Gota, Basil or the old VP and Rohana, or the very old Anagarika, Arumuga Navalar? I see no one in Sri Lanka to inspire the young to aspire for higher things in life. DBS You are trying your best to move the country to a Reconcilation process. This another artcle you have provided to the Srilankan community. BUT…unfortunatly nothing is going to happen. Look at Dumpula. They wanted to destroy a Mosque and the reason for that, because they don’t wanted to have any other religion in that famous buddist area. (e.g – Thirukethesewaram or Konneswaram). All these are encouraged by politicians like Mervin and other baboons. Until these are stopped and really politicians believe each other (both Tamil and Singhala) and work together by their heart, NOTHING IS GOING TO HAPPEN. Sadly this is the truth DBS. Remember Sisyphus and the rolling boulder? London is welcoming the world in Tamil and other selected languages. The first word in the video is Vanakkam. Did the Tamil Diaspora influence the Olympic Committee to include Tamil in their video? Is this the first step towards establishing Tamil Eelam? How come Tamil language has a place in the video whereas the Sinhala language has been completely omitted? The white old colonial masters are at it again and are trying very hard to divide and rule Sri Lanka. This may hinder the reconciliation process. Weerawansa now has an opportunity to farce onto death. Champika can become a Buddhist monk by shaving his head. The whole world is opening up for Sri Lanka to assert its place in the world. Sri Lanka should boycott this Olympic games. The choice of the logo a life belt is rather unfortunate. But that is where a drowning Sri Lanka . Buddhism is a neutral religion. no harm practicing it. It’s been accepted by modern scientist. What is wrong for a Marathi living in Chennai amidst the Tamils in showing interest in the Tamils problems. The all party MP delegation consists many MP’s from states other than Tamil Nadu. What do you have to say about it. You were supposed to respond to my comment on history of the island 3,000 years and beyond. Have you conveniently avoided your responsibility to critically look at the history as it is given to you? I am still awaiting to be educated on history of the island. I need your help. Buddhism is good but Sinhala Buddhism is not good and the problem of Lanka. Sri Lanka must unite in order to face problems coming from outside and inside. The POLITICS is never support the theory. Journalism do the same. Now democracy is accounted during the elections only. Religion and Language are used to get ‘Resources’ for groups through their politics. I hate to agree with you Sinhala/Buddhist if you are one of them. However do the Sinhala/Buddhist practice scientific Buddhism as it was once thought by great teachers? Only yesterday we saw saffron clad skinheads protesting against Muslims at prayer meeting in Dambulla. All these militant anti human activities convince me that the brand of Buddhism practiced in Sri Lanka is anything but scientific. I am not against philosophy. However what do you do with the old who infect the young at their early years of development? not always. U & me are not infected I think. The youth mentioned on the article although their childhood environmental influences were changed, when mixing and communicating with the perceived enemy. The polarisation of northerners & southerners, the language barrier most of the time had created problems/ fuel the crises created by politicians. Agree, no role model in Sri Lanka for the youth to follow, they should never follow any of them you’ve mentioned either. However there are many role models in the world, likes of Mahathma Ghandi, MLK, Mother Theresa…. not many though in my book of role models. You are a Tamil masquarading as a vedda to show a neutral face. Am I write. About the history beyond 2500 yrs..
Well a prince called Vijaya (A naught one) along with a some others arrived in the island 2500 yrs ago from the present day Bengal and integrated with the natives of the island who were referd to a Helas. With time a new race called sinhala evolved fromthe helas and migrants from India. King vijya was known as Bjay Singhe in Bengal. Wether Sinhala came from Singhe +Hela or a sinhalisation/helaciation of singhe into sinhala is something not clear. The written histry of the sinhala race is over 2500 yrs. Prior to that for nearly 30,000 yrs the three tribes known as the Helas inhabited the island of heladiva. The problem with you guys is that u never give a chance for reconciliation. As that will crush your dream of Ealam. The irony is you people have never lived in SL or not been to this land for decades. Yet comment out of hatred or ignorance. What is your non theoretical dream ? Ealam ?? When will you give a chance to peace? Thanks for sharing this article here. Prashan and Christin were in Toronto on an invitation from Sri Lankans Without Borders, to speak at our public event ‘Reconciliation: I’Mpossible? A Grassroots Perspective’ held on March 31st. we also hosted many other small events between them and the diaspora community during their visit here. Our website is in developmental stage, but details on SLWB can be found at http://www.slwb.ca and photos from this event with SLU and some others can be found here http://www.flickr.com/photos/srilankanswithoutborders/ . Also here is a link to our five part literary benefit series http://slwb.ca/samadhana2012/ that features authors of SL origin. Sri Lankans Without Borders (SLWB) is a growing not-for-profit network based in Toronto that provides young Canadians of Sri Lankan origin with opportunities to connect, build and lead initiatives that promote dialogue, reconciliation and peace in the diaspora community in Canada. We are committed to building an inclusive space where Canadians of Sri Lankan origin can come together, regardless of political, ethnic or religious differences, to understand, acknowledge and stand in solidarity with each other in order to bring about meaningful peace, justice, truth and reconciliation for all communities. Could you cite your sources supported by material evidence. Did Vijaya really migrated to the island? Do you have any physical evidence to confirm his story? What evidence can you provide in support of your above claim? And then they send their Tuplovs supported by Mirage 2000 fighters. Before that Narashima Rao visited the island went back and trained, armed and financed the Tamil groups not to mention the adverse publicity Sri Lanka received. Moon came went back and appointed the UN panel. Miliband came and went back now calling for a war crime investigation. Nirubama and Krishna came as the guest of the president and went back and voted against Sri Lanka at Geneva. Blake came went back drafted the resolution against Sri Lanka. Gunaratnam came and was deported to Australia where he gave an interview to Australian media. He didn’t have any good things to say about Sri Lanka. Who are these people leaving the island with positive feelings? I know a lot of Tamils and Sinhalese leaving the country because of negative feeling about Sri Lanka. Any one who comes to this beautiful land goes back with positive feelings about the Sri lanka. Then why not allow IC and independent observers to come to sri Lanka. The problem with you guys is that u never give a chance for reconciliation. As that will crush your dream of Ealam. You people never make use of the opportunities for any political solution. The only solution acceptable to you is within Unitary constitution. You will not give land and the police powers to the minorities or the provinces. Then you blame us of having eelam dream. May be you are having nightmares of eelam. One small country you cannot live in peace with yourself is pathetic. Pathetic as majorities and pathetic for the minorities. Inter community dialogues of this type are helpful and these youngsters should be encouraged to continue with their efforts. Though, the fact that both founders are of Christian faith is intriguing, perhaps they believe in the saying: “have faith, and you’ll have hope”. It would be nice to hear of similar initiatives by Buddhist youngsters? I concur with many here that there lacks a moral-leadership vacuum on the island – which BTW is nothing new, and has been the case since national independence. The imperative leadership must emerge from the Sinhala Buddhist community – for the simple reason that we are the powerful majority to be able to realistically effectuate change, and besides we have the moral responsibility to do so. Especially right now, more than at any time in post independence evolution because of our enhanced and entrenched position. But sadly, one cannot make the horse drink – despite guiding of it to the water by the Swaraj’s, Clinton’s, Singh’s and the Blake’s of the world. What a tragedy and an utter shame that we the Sinhalese have to be instructed by others as if though we are in grade school? With Oxford and Australian educated brains (within the administration), it cannot be a case of intellectual bankruptcy, and therefore the reason must be some other deficiency: ‘political bankruptcy’ at the highest levels of the leadership seems like a logical conclusion. Iam affraid both of you only saw the surface of the incedence in Dambulla. Venourable INAMALUWE SUMANGALA thero is holding chief incumbency of the RANGIRI DAMBULLA tempel. There was a plan for puja nagara(sacred town. Relavent lands acqueired. In order to make the remedy for the people who lost their existing lands, Dambulla viharaya donated 300 hundred acares from its own lands. (actually viharaya owns many lands) Original plan was 40 perchs of land should be allocate for a family who lost their lands. The politician in Dambulla JANAKA BANDARA influenced on distribution so called donated lands. The the end result was while qulified person are not ellegible to get a piece of land, some non qualified people too became owners. A muslim hut for prayees, and hindu temple too among the un qualified constructions. The ellegible land owners and venarable thero, make several appeals in this regard,due to power of JANAKA BANDARA (he is the land minister) it was neglected. Due to the result of this neglect the recent incident took place in Dambulla. On 23 there will be the high level meeting to solveing the problem. Mean while the minister said that he will sue the venarable thero. It is no dout that venarable thero’s act is part and partial with SINHALA BUDDHISM. SINHALA BUDDHISM has two roots. The venarable thero is a GRAMA WAASI monk therefore, react against a bad doing is not against with the buddhism. what I meant was the vast majority of the people. Yes, there will always be people with neagtive feelings Aboutthe poiticians, leaving a with a negative feeling they are driven by political compulsions. Robert Blake loved sri Lanka (From What I heared) but political compulsions make them take a different stand internationally. Nirupama Menn Rao and Kathy Klugeman (The former Aussie High Commissioner) are two of the great examples of politicians who liked this country. Besides so many other sports people like Tony Greiag,, Botham the memebers of the Barmy Army etc. Sri Lanka is a beautiful country and the sinhala mpeople are fun loving hospitable people. So naturally people tend to like us. There are many articles books I have read about the history of Sinhala or Heladiva. I think best thing I can do is to refer you to two of my most admired people Champika Ranawaka and Udaya Gammanpilla. They will explain to you in detail in a structured manner the history you need to know and also why the eelamist have not been able to convince the world about the traditional Tamil homeland concept. You admire them for what? When did these two become historians? This is a news to me, a fantastic one at that. Considering them as eminent historians says more about you than the two you admire. How did I miss both of them? Lets come to the point. Do you know the history of the island? If you do then please educate me your version of history even if it is a revisionist one. My advise to you is please don’t rely on politician’s version of history to argue your weakest subject in public. The more you try to say something about history you sound more stupider than necessary. I find your justification fantastic. Please keep up the good work if you want to destroy the credibility of Buddhism as a philosophy. Buddhism stands for philosophy and as well as a way of living. I am affraid you may have lot of home works to understand the whole concept. May be in next birth. Buddhist philosophy is fine with me and the rest of the world. However I question the Sinhala/Buddhist/Aryan way of living. Please don’t destroy the essence of Buddhist philosophy by your way of living. I am working hard to retrieve Buddhism from the Sinhala/Buddhist/Aryans as my non religious duty before it is completely destroyed by you stupid people. Okay if you think Ranawaka & Gammanpilla are twisting facts to suit their agenda, i would like you to let me know what you know about the Sri Lankas history. I would like to know the evolution of the sinhyala civilaisation inthe country, the tamil heritage in the country. Lets see wether what you say is consistent with what I have heard or if it is different I would like to probe further etc. Please go to Libraries and read books and do your research.Leave this site alone. I am only a honey collector and I would not know much about history. Therefore it is only appropriate that I learn history from a historian. I happened to read your comments on the island history hence I decided to learn history from you. Would you accept me as your student? You can start from Gondawanaland, Lemuria, Sumeria, etc. Hendry olcoot, Gananatha Obesekara,Prof,Thambia, also tried. Why not you. Even your Mahawamsa Myth states that Buddha’s first point of contact was with my ancestors and not your stupid Sinhalese nor your equally stupid Tamil brothers. As I said before, this is my non religious duty to claim back Buddhism from Sinhala/Buddhist/Aryans. Let me free the Sinhala/Buddhist/Aryans from the burden of protecting Buddhism and I would rather urge them to stop destroying it. I am sorry I don’t need your permission nor your blessings. I may be bit thick but surely I am getting there albeit slowly. What is more pathetic that the big neighbouring country bullied the tiny island many times. Aided and trained tamil militants to wage war & destruction against sinhalese. You are a pathetic as u never realise what all Sri lankans desire. U are a brained washed pathetic LTTE /Eelam supporter. Leave Sri Lankans alone.